From the time when I was little, I enjoyed visiting cemeteries because they show “a deep reverence for life” that I needed to witness in the darkest parts of my own soul. Even today, I still make impromptu visits and make all my children go each patriotic holiday as a family tradition. 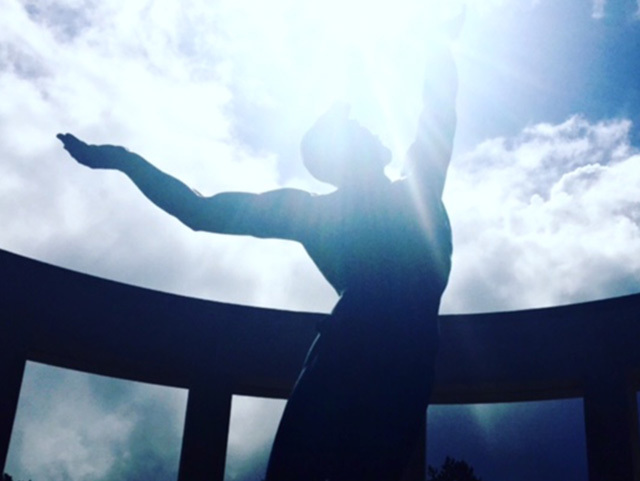 We spent nearly a full day at Arlington last trip because I feel a deep connection to never forget “them” – them in a broad sense – my parents, war veterans, close friends, and family. Maybe it is as much about me being scared to be forgotten as well. 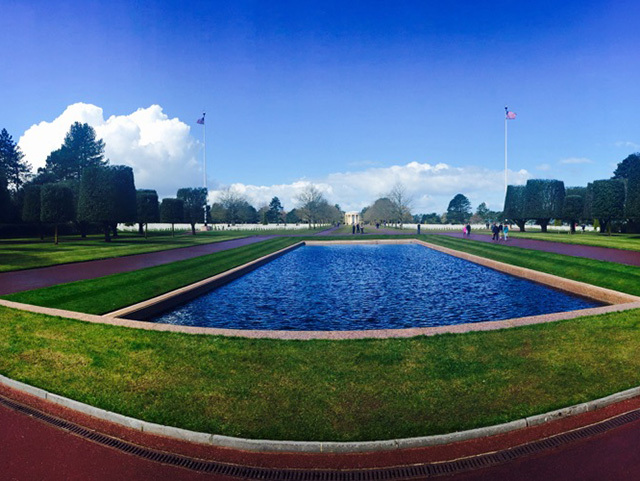 I can’t really explain it but I have thought about The Normandy American Cemetery and Memorial as a “bucket list” definite. However, I grew up with a deep belief we never need to leave the U.S. for recreational travel until we see all of our amazing country first. Call me a “Hikes Point redneck” if it makes you feel better, but there is just too much majestic beauty in America, that not seeing our own country first somehow made me a less patriotic American. And if anyone of us ever did see all 50 states, we would have seen so much topography diversity, people diversity, and climate diversity; we would not need to travel ever again. At least that’s what I thought until I witnessed Normandy, France last month. Note: not to mislead anyone here, I have made various overseas trips in my lifetime, but mainly for business interests or a strong link to outside competitive golf, and a few foreign island romantic trips. Things like securing insurance at Lloyd’s of London, examining healthcare opportunities, or investing in restaurants in Beijing, China, and caddying for my kids in a Scotland golf event – just to give you some context. 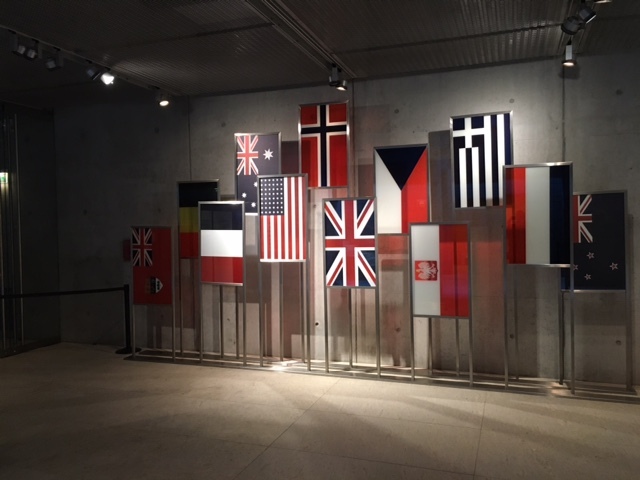 Being 49, I grew up with World War II history around me everywhere I looked – informally and formally. For as long as I can remember, I’ve read books in civics and history classes in my catholic schools or watched classic movies like the Longest Day, Saving Private Ryan and Schindler’s List. I heard war stories passed down from many different social settings which led me to believe that June 6 to June 8, 1944 are some of our country’s most sacred days that should be true U.S. holidays equal to many we celebrate now. Being in an “aging care” industry and a Signature stakeholder, we have been blessed to serve and care for hundreds of military heroes and World War II veterans over the past decade. We have inducted many of these great men and women into our Signature Hall of Fame annually, and I’ve had the opportunity to thank many of them personally. I have put them all on such a pedestal because I never served, but I know how blessed we are to live in a “free democratic world” as American citizens. We all know the epic story: Germany was trying to take over the entire world, eliminate all democracies, Jewish citizens, and establish a supreme uber “master race” that would become the first national world dynasty restoring all their WW1 losses ten times over. We know the D-Day plans designed by Eisenhower, Roosevelt, Churchill, and Patton were beyond high risk on the perfect weather day and the executional risk to make it work on those exact dates that were mere meteorologist predictions at best and took scenario planning to a whole new level. Most of my generation may have missed seeing the academy winning “Longest Day” but may have watched closely during the beginning beach war scene in “Saving a Private Ryan” in Spielberg’s classic film. 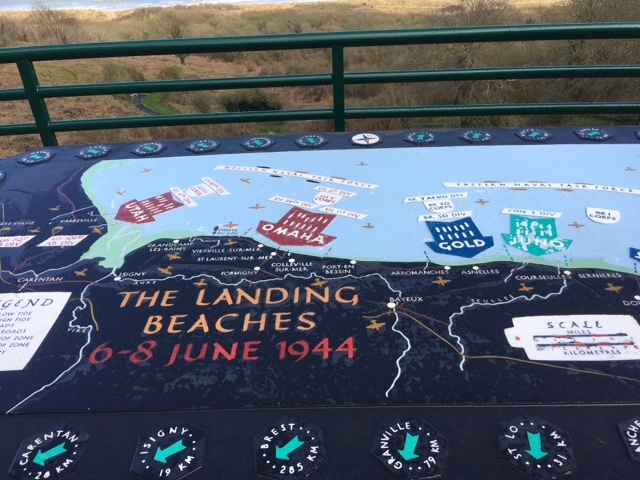 The opening scene is where the allied nations attempt to scale Normandy Beach as D-Day started, resulting in massive loss of American soldiers who knew the true risk of their bold assignment. 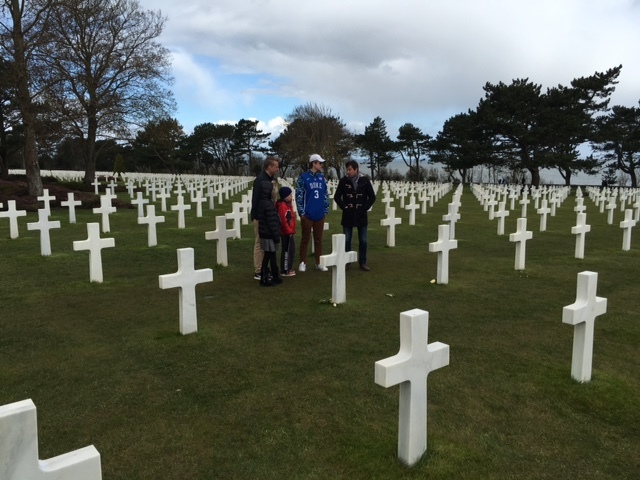 Equally moving is the tearful ending scene at the Normandy Beach military cemetery. 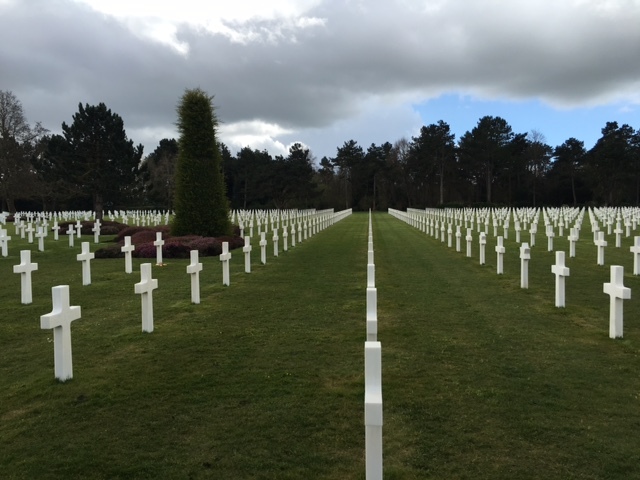 When you go to Normandy, France and walk the sacred grounds you will be changed forever, I promise. Yes, it is a long drive from Paris and it’s hard to predict the weather, so be flexible, and it is intense so you will leave there exhausted mentally, physically and spiritually! First, away from the actual cemetery they have left the battlefield there with bunkers intact and the bullet holes, barbwire and bombed watch posts untouched, so when you climb into and look out you feel it – the raging seas, the brutal cold winds of the English Channel, and the improbable feat to make it up the beach walls. You realize if Hitler was not tricked by Patton’s “Operation Bodyguard” – the fake attack on the northern part – he could have taken every Ally Force out easily because the topography and set-up were in his favor and then some. My lesson: You will realize even in one of our greatest military feats ever, war is so ugly and brutal that we should try to avoid it at all costs. But tyrannical threats who attempt human genocide to the free world must be dealt with and aggressively annihilated before they become too powerful. Second, Normandy is really five different beaches that are 12 miles long with each having different challenges. So we need to fly over with the paratroopers at Utah Beach, storm the actual beach at Gold Beach with soldiers, reconsolidate allied forces at Sword beach, and get infrastructure into service to support operations and then take out beach heads at Juno Beach. This was due to the German artillery’s superiority and range that unless it all worked out, they would still win. 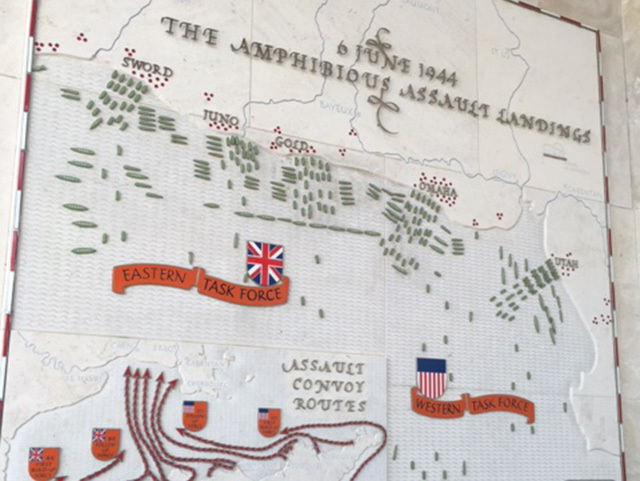 Personal lesson: You will realize many things went wrong that day and you see how the great liberators pivot, adjust on the fly, master contingency planning, and stay on task despite unfathomable headwinds and obstacles. Life is more about how we overcome our own fears and never forgetting our sacred goals because the world needs Heroes! 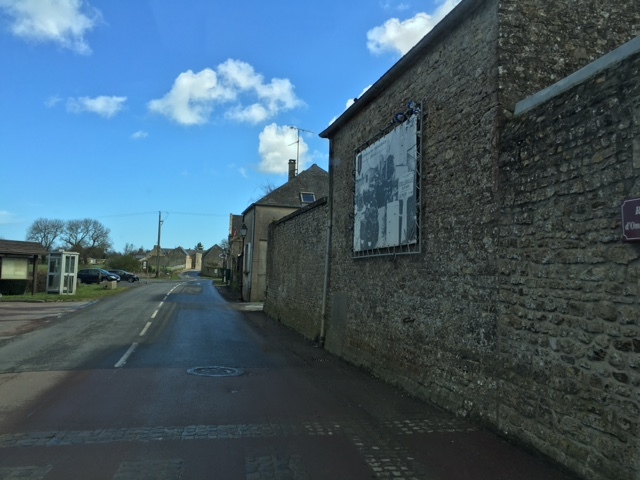 Third, I did not know this until the trip – France gave us the “land use rights” forever as a thank you gift for helping the free world save the concept of democracy, government for and by the people, and rid the free world of tyranny at the highest level ever. With that in mind, the U.S. built a slice of heaven right there where it all happened: because of the synchronized white headstones, the grounds actually illuminate like you might perceive a vision of heaven! 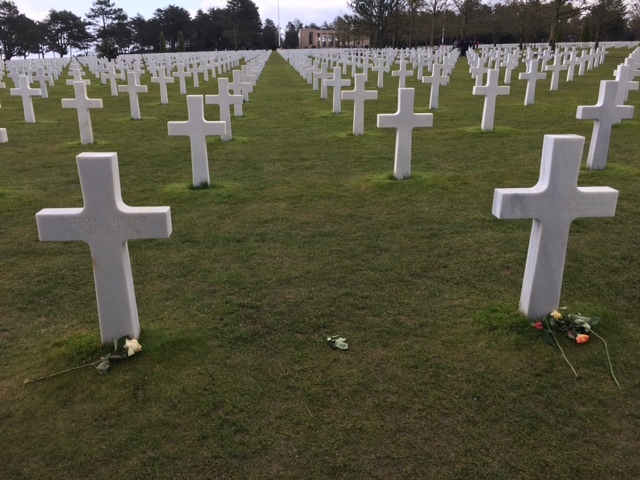 Remember, nearly 10,000 men and four women all perished at nearly the same time, and all are buried in perfect symmetrical lines, with no distinguishing details noted on the grave markers. With all of them buried together, it takes a casualty number out the textbooks and brings it to life. You feel like you can still hear their voices in the crashing waves on the wall and they are still talking to us even today, telling us to make sure it never happens again. 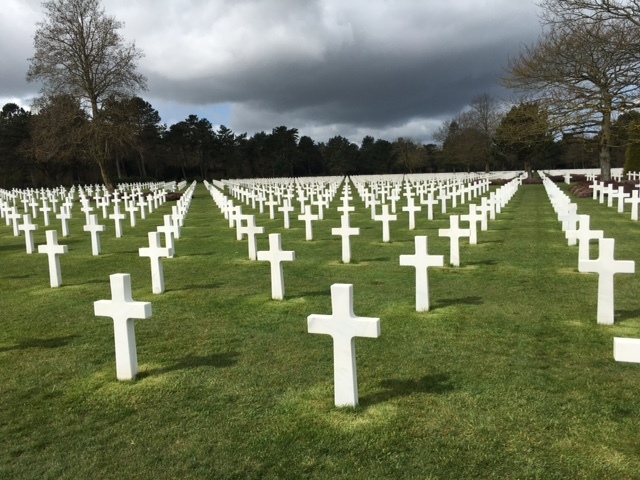 Personal Lesson: You quickly realize most of us will get to experience a full life (have a family, a career, and reach our potential) as free Americans because these 10,000 died on the same battlefield for each of us on one long summer day. Eighty five percent of these heroes were between the ages of 17-23 and did not get to build a family, a career, or realize any of their dreams, so we all need to leave this world making it a better place in their honor! Note: The Normandy American Cemetery and Memorial was designed by architects Harbeson, Hough, Livingston and Larson of Philadelphia. It was created to capture various metaphysical feelings that you cannot find in many places in the world as Americans. First, the layout puts the divine God in the center and plants spheres around it with perfect field alignment in each tombstone, reminding us that in the chaos of life uncertainty there is a “divine plan for the world and each of us”. Second, each headstone faces west toward America and reminds us we are all God’s people, regardless of religion preference. This is evidenced as you see cross headstones next to the Star of David headstones all encountering the ultimate goal – spiritual salvation. Last, everyone is equal here on the hallowed grounds and in God’s eye as well, and is a great reminder for all of us. Personal Lesson: In my struggles and daily frustrations, I sometimes forget there is a greater plan for all of us than we might even know, we are all always equal in God’s eyes and I need to always face toward the “proverbial holy city” in everything I do. As visions flow over you, you observe multi-generational families in prayer, and you walk the length of four football fields looking at names, dates, and state origins, forever noting state losses were huge, especially in New York and Pennsylvania. 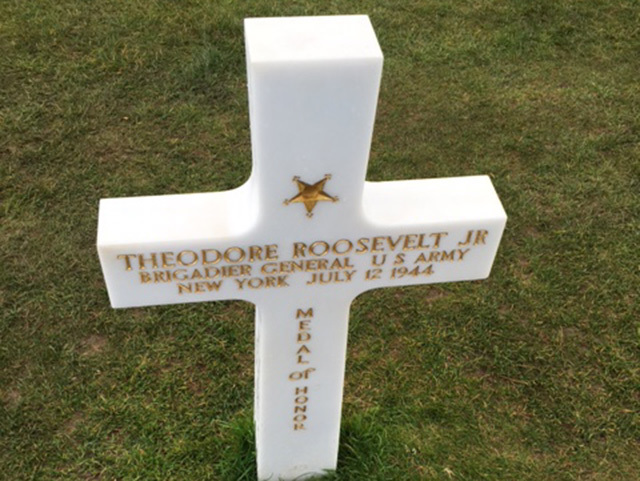 You run into heroes like Theodore Roosevelt, Jr., son of a president Teddy, who made the voyage to serve at 56 years old. And yes, we did search out the two brothers that Spielberg used for Saving Private Ryan. Their last name is actually Niland, not Ryan, and the third brother lived after being captured as a Japanese POW for a year, then was liberated. You could walk for weeks just to show proper respect to each hero but you have anxiety because it seems impossible to get to each row. After a while, it hits you and you realize they would do it all over again and the regret you had for them in your own heavy heart turns to quiet spiritual peace. As we all hope salvation feels from our earliest teachings because these timeless leaders quietly tell you they would do over again because they served a greater purpose than themselves. Their ultimate sacrifice has been rewarded by God because he wants his people free, every life equally valued, and his divine dreams for the world are still a possibility. Most important lesson: People that serve a higher calling rarely have regrets or need a second chance. They live to serve a divine purpose. It is not how long we live; it is what we do with our time. I fear death sometimes too much to really live and I learned a valuable lesson walking with THEM today in how they served their CALL!